Welcome to my wine blog! 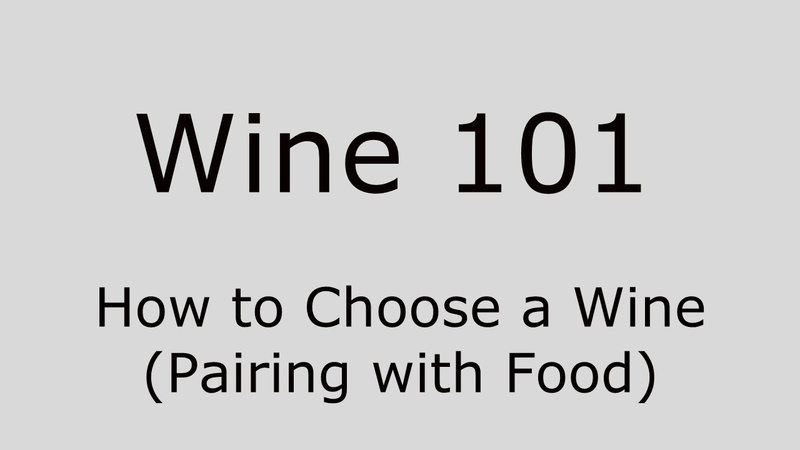 Learn all about wines and wine tasting with our Wine 101 course! Find out about great wines with our reviews and tasting notes. Feel free to leave comments and questions and to suggest wines you enjoyed! 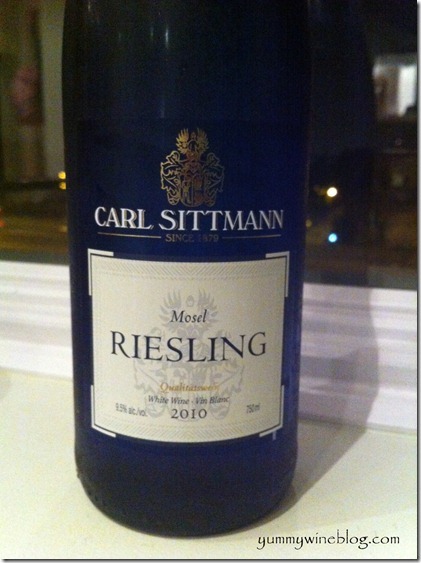 A really nice off-dry Riesling (little or no residual sugar). 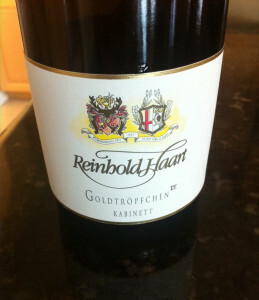 Similar to the Gunderloch Riesling that I love. This paired ok with the Parrano Gouda Uniekaas from Whole Foods. 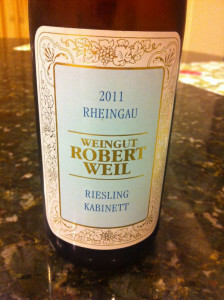 This was a fairly sweet wine that paired amazingly well with sweet potatoes and German sausages with German mustard. 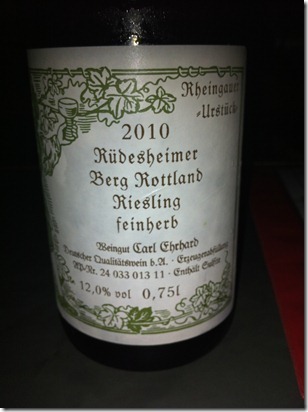 I was at Terroir Wine Bar last week with friends and asked the bartender for an off-dry Riesling like the Gunderloch I love so much. He recommended this Feinherb (which actually means “off-dry” i.e., a tiny bit sweet), which was delicious. It was a reasonably crisp wine with a delicious understated sweetness. The fruit wasn’t overpowering. 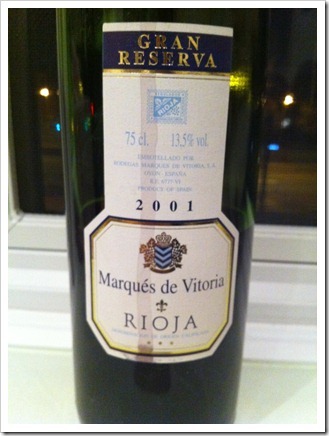 Overall, very enjoyable easy drinking. 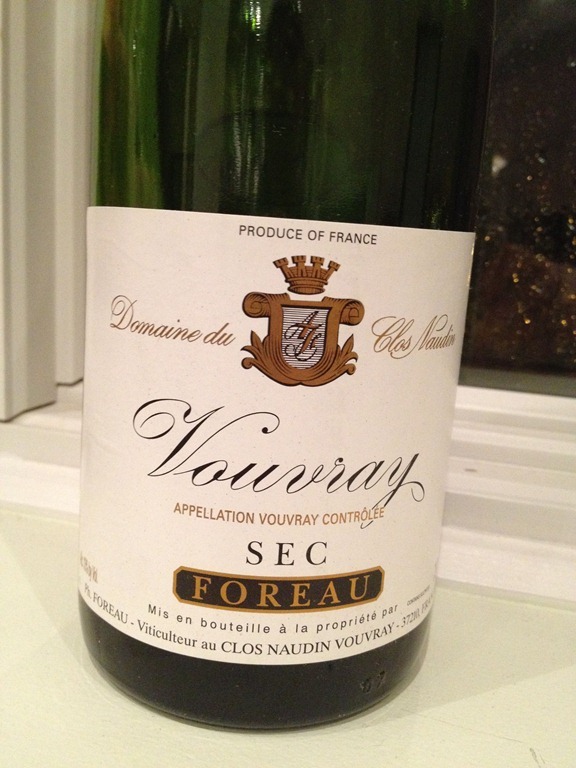 Quick review of this very good vouvray we just opened yesterday. Intro: Clos Naudin is one of the better-known estates in Vouvray. 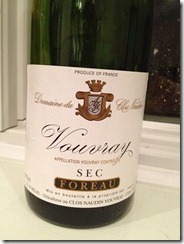 Like most wines from Vouvray, this wine is made from the Chenin Blanc grape. Wines from this region tend to be medium-bodied, medium sweetness, high acidity, and tend to display a range of fruit aromas along with a bit of minerality and "herbaceousness." My Tasting: Unlike most Vouvrays, this Clos Naudin is "Sec", or dry, and has almost no residual sugar. It’s still medium-bodied and at least medium-plus (if not high) acidity. My mouth is still watering right now. The surprising point for me is that I get more stone fruit (apple and pear) on the nose than I would otherwise expect. I also get hints of minerality, a bit of citrus, and a small bit of apricot. Palate is similar to the nose and not disappointing. Length is medium. Impression: Very good wine. There is a lot of complexity on the nose and palate, and I feel like the acidity, although fairly high, is not overpowering. There is no sugar to balance the acidity, so I think I’d like this wine even more with a food that would balance it out, perhaps something with a fair amount of oil or butter in it, or even a creamy pasta dish (pesto maybe?). This wine can be found many places for $25-30, so it’s not on the low end of the scale, but for the quality and typicity (of a good, dry Vouvray), I think it’s an excellent value. I’m pretty sure I’ve had sherry before at Cambridge. In fact, I distinctly remember some friends driving over to Calais, France, and picking up a large bottle of sherry for 1 Euro. Needless to say, it had no label and was packaged in a clear plastic bottle. For some reason, it seemed just fine to drink during college! 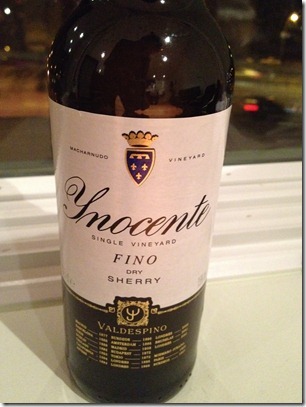 Sherry is a fortified wine from Spain. It is made with certain white grapes that are usually grown near Jerez in Spain, which is why sherry is called vino de Jerez in Spanish. After the grapes have finished fermenting, the wine is fortified with brandy. I had always envisioned sherry to be sweet, but it is actually commonly dry, although some sweet dessert wine versions are made (e.g., Pedro Ximenez). I picked up this bottle (375ml) for just under $20 at Crush Wine & Spirits. It was actually recommended by Anthony, who works at the shop and who was very knowledgeable about sherry despite the fact that it’s rarely enjoyed in the States! It smells rather nutty with hints of green apples and has faint smoky aroma. It tastes a bit like a white port (without the sugar). It’s mildly acidic, but very easy to drink. The flavor isn’t too strong (in fact, it tastes a bit watery even), but it lingers in your mouth very pleasantly. Let me reiterate that it is a dry wine, so there’s no sweet taste to it at all! Overall – a thumbs up! 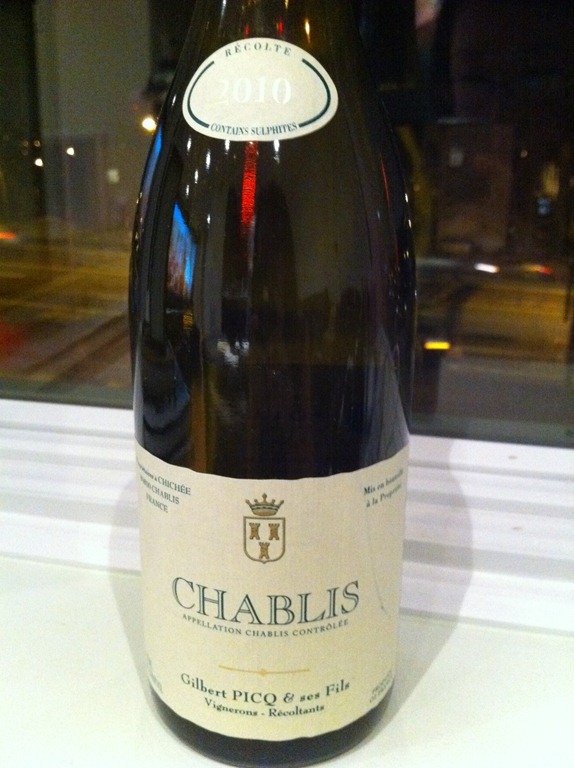 This is a very typical Chablis. It has hints of green apples, minerals, and citrus fruits in the nose and has a very crisp, rather acidic taste, and a medium to long finish. I wanted to point out one key fact about Chablis. Chablis is NOT a type of grape! Chablis is actually a region in Burgundy, France. The grapes produced from that region are mostly of the chardonnay grape varietal. That’s why this wine tastes a bit like a Chardonnay. However, unlike many Chardonnays, most Chablis tend not to have oaky tastes (i.e., they are not produced in oak barrels). They also don’t have that vanilla, buttery taste and smell that’s sometimes associated with Chardonnays. Chablis are noted for their acidity and crispness. If you want to know what a typical Chablis tastes like, then this one is a great example for not that much! I picked it up from Astor Wines for $20. I bought this at the airport in Madrid when I had some Euros left to spend. 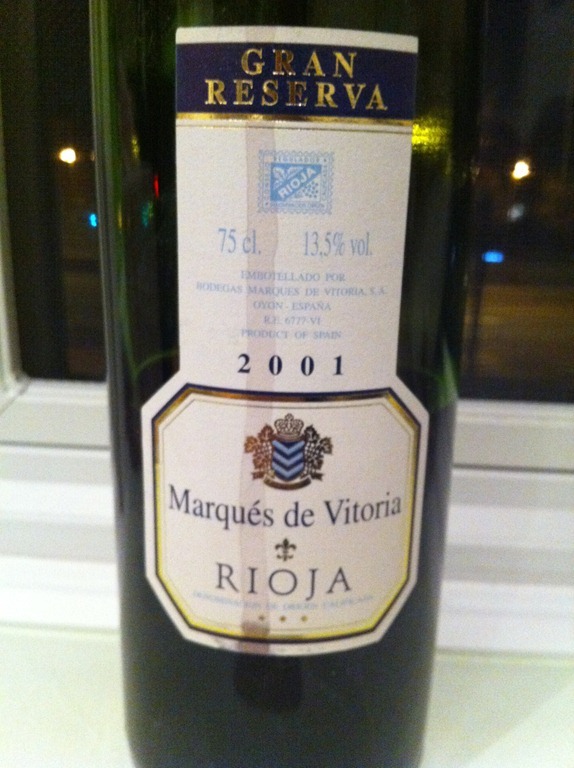 I picked it because I thought 2001 was a good year for Spanish wines and so went with this wine. It has a really strong nose (or smell). There are strong woody (slightly oaky) smells mixed with red currants, and there’s a sharp acidic tinge to the red currants smell. In the mouth, it has high tanin with high acid. I find the wine almost too sour! There is also a bitter finish to it that I dislike. I can barely taste the fruit. According to wine-searcher.com, average prices for this wine is $24, but it looks like it’s mostly foreign websites that sell it. The question of how to pair a wine with food is probably the single most popular wine-related question. More often than not, we drink wine with food, so it’s hardly surprising that so many people want to make a good choice in this respect. Unfortunately, there are no easy answers. There are long-standing generalizations like “white wine with fish” and “red wine with red meat”, but such generalizations are far from comprehensive and are often not helpful at all. Simple Rule: If your food is sweet, then your wine needs to be sweeter. Let’s start with just a bit of terminology. Wines that have no sugar in them are called “dry”. Wines that have a small amount of sugar are called “off-dry”. Wines with more sugar are called either “medium” or “sweet”. The reason this is important is because the people at the restaurant where you’re eating or at the store where you’re shopping should hopefully know where a wine falls on this spectrum of sweetness. What you need to know is that if you are drinking the wine with a sweet food, then you need to move toward the “medium” or “sweet” end of the spectrum, or at least “off-dry”. The problem with eating a sweet food with a wine that isn’t sweet is that the wine will taste very sour or tart. The opposite, however, is not necessarily true. It’s entirely possible to drink wines that are somewhat sweet with foods that are not. For instance, many spicy foods like Thai often pair well with slightly sweet wines. Simple Rule: If your food is acidic, then your wine should also be acidic. The rule is pretty much the same as with sweetness, but acidity is a bit harder for many people to discern and understand. In food, you can think of citrus fruit, anything with vinegar, or dishes with tomato sauce. All of these foods are fairly acidic, which usually means that they are somewhat tart and also that they tend to make your mouth water. The same is true of acidic wines – they will be somewhat tart and will generally make your mouth water. Some wines (Sauvignon Blancs and Sangioveses) are usually acidic, but it’s hard to tell if you don’t know, since acidity is not marked on any bottle. The concern with pairing an acidic food with a non-acidic wine is that the wine will taste less “vibrant”, by which I generally mean that wine will lack any crispness and will taste relatively flat. Again, the opposite is not necessarily true. For instance, dishes that are heavy in oil are often complemented well by an acidic wine. If you’ve watched the video above, then you know that I don’t really discuss intensity of flavor, partially because it requires a bit more knowledge about any particular wine. The simple rule in this case would be that foods with more intense flavors require wines with more intense flavors, and vice versa. The reason for this is that either the wine or the food can be overpowered if one is intensely more flavorful than the other. Intensity of flavor is surely very important, but most of us are better off focusing first on sweetness and acidity. Even more so than sweetness and acidity, it’s very tough to know if a particular wine is intensely flavorful. In addition, if you get a pairing wrong in this respect, then it’s usually not a terrible result. Either the wine or the food may be slightly overpowered, but neither will necessarily taste significantly worse because of it. The same cannot be said of sweetness and acidity. Simple Rule: If possible, pair wines and foods from the same region. There are plenty of wines and foods from different parts of the world that pair together beautifully. However, if you want an easy method of pairing, most wines from a region will go very well with traditional foods from that region. Eating Northern Italian cuisine? It’s pretty good bet that wines from the area will pair well. There are both historical and geographical reasons for this, but just trust that it generally works. Tasting, at its best, can get super-complex, but it can also be super rewarding. If you have any pairings that you particularly like, please leave them in the comments below, as well as any questions. 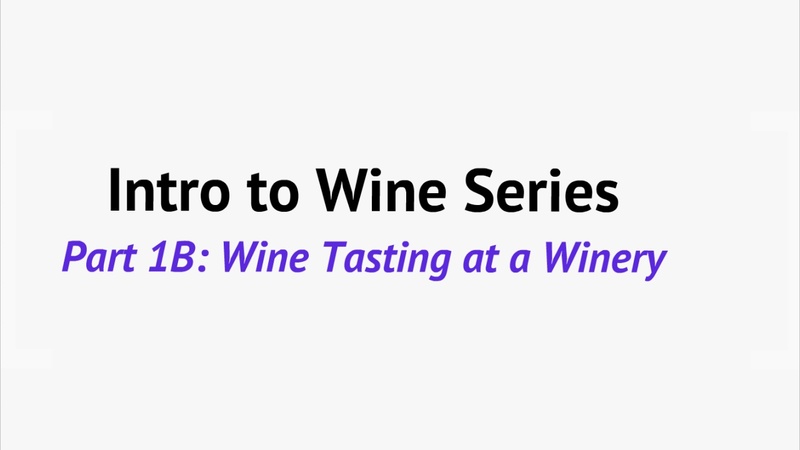 You could probably learn everything you ever need to know about wine without ever stepping into a winery. But that wouldn’t be very much fun, now would it? Visiting wineries to go wine tasting can be incredibly fun, informative, and even motivating (if you ever need more motivation to learn about or drink wine). Here’s what you need to know before you visit. You could get by without planning at all, but a bit of foresight will make the day much more enjoyable. Some wineries are closed several days a week, and some wineries require an appointment no matter when you’re going. Some wineries don’t have tasting rooms at all. For multiple reasons, it makes sense to call ahead and make sure that they can accommodate you and whomever else you’re dragging along. Read a few reviews, too, or else ask someone who’s been before. Maybe a certain winery gets really crowded on certain days, so you’d be better off going there early or skipping it altogether. If you were going to dinner at 2 different people’s houses, you wouldn’t necessarily expect the look, feel, or atmosphere to be the same at both dinners. Wineries are no different. They vary greatly in terms of size, atmosphere, and personality. The only real way to get to know a winery is to visit and talk to the owners and people who are working there. Most of the time, they’ll be very nice and very helpful, telling you everything you’d want to know about their winery, their wines, and even their wine-making processes. In terms of tasting fees, most wineries charge for tastings now. Prices are typically $5-15, but they can go higher. Always ask when you call to plan your visit. In addition, many wineries will often refund your tasting fee if you buy a bottle while you’re there. Don’t feel obligated to buy anything, although if you do like the winery and the wine, then it’s always nice to support them. Remember, they’re a small business just like any other. The process of tasting is pretty straight-forward. You tell them that you want to do a tasting, and they’ll pour you a glass of wine. Once you’re done with that one (either you drank it all or else you poured it into the bucket), they’ll pour you a second glass. A typical tasting might be 5 or 6 wines, but this also varies from winery to winery. Depending on how busy they are, the people pouring will usually talk to you about the wines and answer any questions you have. Personally, I forget that anyone even questions the reason for going wine tasting, but here it is: FUN. Don’t misunderstand – you learn a lot, you discover great new wines, and you interact with some really cool people. However, the day ends up being a lot more fun when you’re tasting wine. I personally don’t need much more reason than that. That said, you often won’t discover many of the smaller wineries and producers unless you go tasting, since they’re not typically carried by larger stores. Tip: Hire someone to drive you around. If you’re going tasting for an entire day, and if you can at all afford it, hire someone to drive you around. It really makes it a lot easier to have a great time, since you don’t have to worry about whether you’ve had a bit too much to drive. If you’re on the fence at all about spending a day wine-tasting at your local wineries, then DO IT. You will develop a new appreciation for wine and for the people involved in creating it. And if I forgot to mention it, you’ll have a LOT OF FUN!